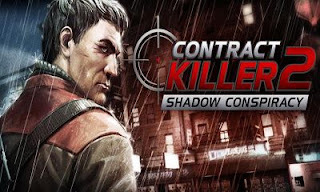 CONTRACT KILLER 2 shadow conspiracy is a perfect dynamic third-person shooter. where you will have an opportunity to safely take a shot. You can modify your weapons for the money earned. In Addition, The game also possesses a first-person mode, in which you will have to take a shot from your sniper rifle. In this game, you will complete dozens of unique Challenges to earn titles, badges, and big rewards.